Welcome to the Best Resource for Upcoming Put-In-Bay Events. Peruse the great options, and see when you should make way to the great island of Put in Bay! 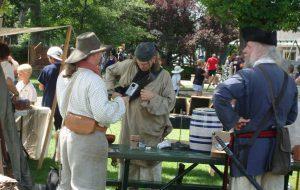 The Events on Put-in-Bay and South Bass Island offer the island entertainment throughout the season. Visitors can expect a wide range of fun things to do. Planned activities range from time and peace with nature observing a migratory bird species to an exhilarating show with entertainment superstars like Kid Rock. There’s so much going on in Put-in-Bay! This resource is an excellent Guide to Put-in-Bay happenings throughout the year. Stay tuned as we will add more content and update events to keep you informed. This is the preferred resource for Put in Bay Events and Entertainment, from the summer days in June to the fall events in October. Here, you will find all of the very best Put-In-Bay concerts, festivals and fun activities. Events range from family fun to fishing tournaments, with activities both day and night. Many guests will plan their trip to South Bass Island by checking on upcoming Put in Bay Events. The majority of the fun runs from Early April until the end of October. However, the fun folks at Put-In-Bay keep the fun going all year round. The season kick off Event is the Put-In-Bay Spring Fling at the Island Club. Here, guests from premier Put-In-Bay Hotel and Put in Bay Vacation Rental partners come together for a weekend of live music and cold beer. Below is the list of places to stay in Put-in-Bay who have access to the party. As the season progresses, many more great Put In Bay Events take place. In June, the annual Pirate Fest draws great crowds. Revelers gather along Delaware Avenue to enjoy the cannon blasts and catch a glimpse of the tall ships in harbor. The months of July and August are teeming with events and activities. Catch some outstanding fireworks in the Put-In-Bay Harbor for Independence Day or test your skill at the annual Volleyball Tournament. Regardless, there is a Put in Bay Event for everyone on South Bass Island. Need a Hotel during stay for a Put in Bay Event on South Bass Island? Our hospitality partners have a house or hotel for you. Some are just one night, while others span a weekend or week. Once on the island for a special engagement, there are numerous great attractions and fun for the whole family. Options include Perry’s Cave and Family Fun Center, Adventure Bay, Perry’s Monument and South Bass Island State Park. Chances are, you will find a fun event for you and your friends and family to enjoy. Remember, the best way to get the full Put in Bay experience is to stay the night! We have the best options for Put-In-Bay Vacation Homes, Put-In-Bay Waterfront Condos and Put in Bay Hotels. See you this season on the bay. Let’s have some fun!